Captain Jordan is one of those people that you will always remember. Maybe it's his warm and friendly personality or maybe it's the way that his passion is exhibited in his abilities as a captain. Either way, it is clear that he has a way with these waters and the fish that reside within. Born locally and raised on the water, Captain Jordan Todd is a third generation fisherman and holds a Bachelors degree in Marine Biology. Above all else, he carries a love of all things fishing and wildlife. He is also one of the few fishermen in the area with multiple active sponsors. Regardless of your reason for choosing him, the journey and experience will be unforgettable. 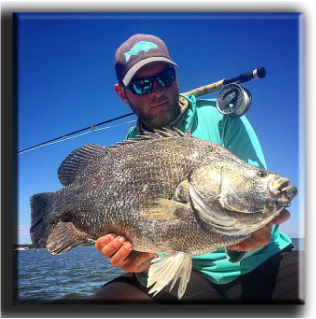 Saltwater Obsessions was created as a fishing guide service with a focus on sparking the fishing and outdoor interest in every client that ventured out onto the water with him. Captain Todd is an avid participant in fishing tournaments big and small. His reputation and abilities continues to grow and some of the best names in the business have noticed. Jordan maintains a strong reputation for quality and is exceptionally particular about the brands and products he endorses and refuses to put his name on the line for anything that doesn't make the cut.